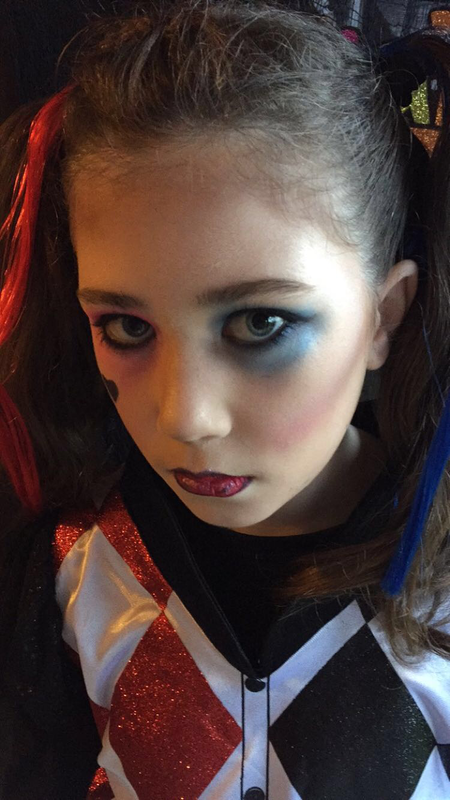 Mini Harley Quinn of Suicide Squad, make up look. 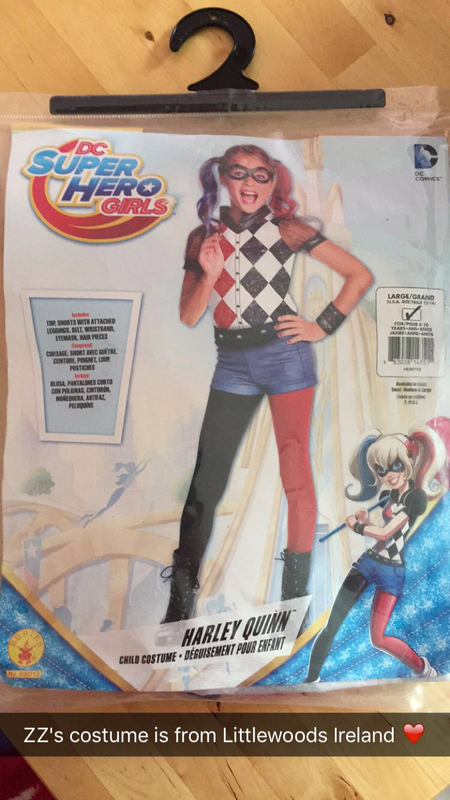 This morning is Halloween dress up in school and my daughter wanted to be Harley Quinn from Suicide Squad the super hero cool chic! She hasn’t even seen the movie, she’s only 10 years old. I ordered her costume from LITTLEWOODS IRELAND in size Large as Zara-Zöe (Z.Z.) is quite tall for her age. I started on the eyes using CATRICE Camouflage concealer (shade 010 porcelain) all over the lid & up to brow. On the left eye I then patted on the vibrant pink eyeshadow from my SLEEK ACID 570 palette and added the darker Pink into the socket and blended up to the brow bone using BLANK CANVAS E26 brush. On the right eye I patted on the shimmery blue frosted Eyeshadows from my SLEEK ACID 570 palette and added the darker Blue into the socket and blended up to the brow bone using MAC 217. Pink eyeshadow was blended underneath the left lower lash line & blue underneath the right lower lash line. CHANEL VITALUMIERE foundation was applied using BLANK CANVAS COSMETICS F20 brush and to set it I used BOURJOIS POUDRE de RIZ with my ANDIE NIMA BRUSH. 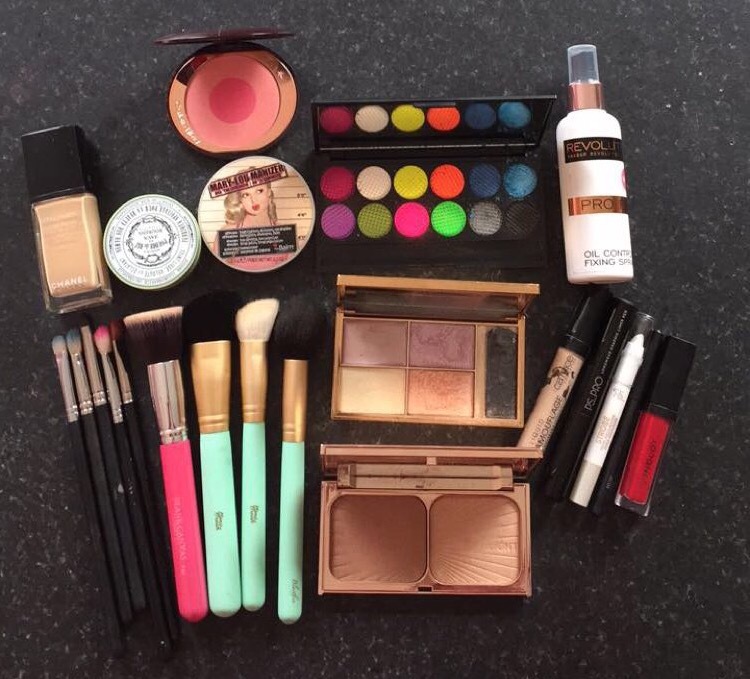 I then contoured Z.Z’s cheekbones, temples,nose and forehead using CHARLOTTE TILBURY FILMSTAR BRONZE & GLOW and my BLANK CANVAS COSMETICS F15 brush. I used THE BALM MARY LOU MANIZER highlighter and SLEEK SOLSTICE PALETTE with my TARA brush from NIMA BRUSH on cheekbones, brow bone, down the nose, on the Cupid’s bow and above brows to highlight and give some shimmer to the look. I added some CHARLOTTE TILBURY Cheek to Chic blusher in Love is the drug to Z.Z’s cheeks using my BLAITHIN NIMA BRUSH. 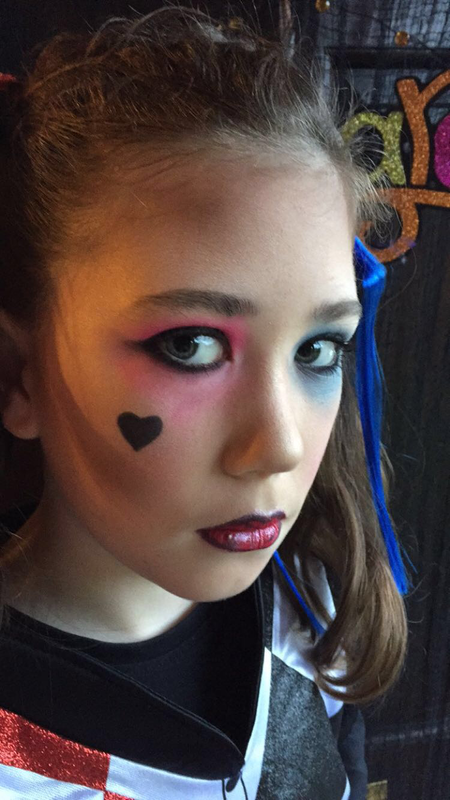 Adding a black heart on the left cheek I used PENNEYS (PRIMARK) PS PRO Longwear graphic liner pen. I wanted a deep red lip so I used INGLOT HD LIP TINT MATTE in shade #12 and I then lined the lips with PENNEYS (PRIMARK) PS PRO Longwear graphic liner pen. I added some final highlight to Z.Z’s lips using PENNEYS PS… Strobe pencil in pearl to add dimension and accents to the lips. I spritzed Z.Z. With MAKE UP REVOLUTION fixing spray. Z.Z. Was delighted going off to school and I do love seeing all the children in fancy dress going to school, I can’t wait to see what the teachers are wearing when I pick her up from school today.